Make your movie night snacktastic! 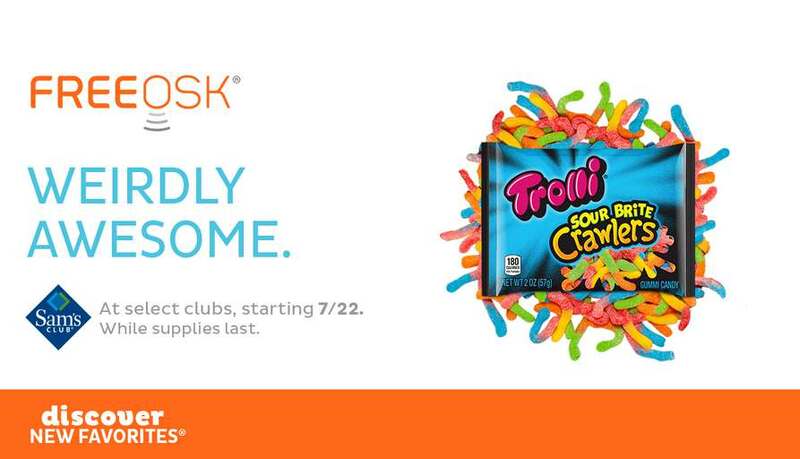 Trolli Sour Brite Crawlers are sampling from July 22, at select clubs, while supplies last. Combined with SkinnyPop Popcorn, they make the perfect sweet and salty combo for an at-home theater experience. Visit our Find A Freeosk page to see what’s sampling at your local Sam’s Club.